Tired of dog-earing your precious books and journals? Switch to the trendy Dua Gifts Bookmark, featuring a handy tassel to bring you back to where you left off. 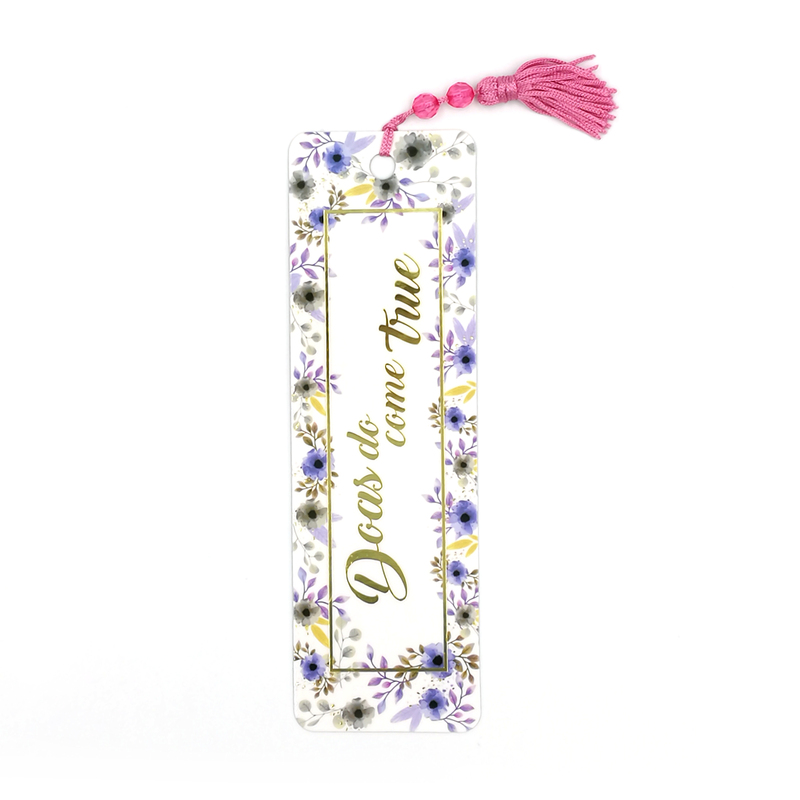 The Dua Gifts Bookmark comes with a clean, contemporary design that makes your books and journals even more special. Let a sense of calm wash over you with the soothing pastel, marble, abstract and English floral designs – a visual therapy for any time of the day. Each Dua Gifts Bookmark “gifts” you with a powerful message that calls upon your inner peace, ease and gratitude. The message on your Dua Gifts Bookmark is often short and sweet, yet beautiful to hold on to. Slip the Dua Gifts Bookmark into books, journals, or use it to decorate your favourite space. Use it as a guide to mark a page you’d like to return to when next time comes. We make our Dua Gifts Bookmark with extra love and care. As it arrives in your hands, we hope you cherish it like we do. Keep away from water or prolonged exposure to sunlight, and it will always look brand new!